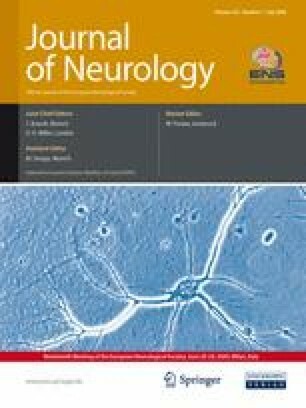 The ability to predict the future progression of MS represents a key issue for the neurologist. The aim of the study was to create a multifactorial prognostic index (MPI) providing the probability of a severe MS course at diagnosis based on clinical and immunological CSF parameters. 64 clinically definite relapsing-remitting (RR)MS patients (38 benign, 26 severe MS) followed up for at least 10 years were included. Clinical and demographic details, EDSS after 5 and 10 years, progression index, relapse number and rate, time to a second relapse were assessed. CSF and serum samples collected at diagnosis were examined for CSF IgM and IgG oligoclonal bands (OB) and quantitative IgM and IgG determination. Kaplan-Meier analysis showed that the probability of reaching an EDSS score of 3 or 4 was significantly influenced by the presence of IgMOB (p < 0.01 and p < 0.01, log-rank test) and by the symptoms at onset (p = 0.04 and p = 0.03, log-rank test). These results were confirmed at multivariate analysis (Cox model). Univariate logistic analysis showed that IgMOB presence predicted a severe MS course (OR = 9.33, CI = 2.92– 29.88), whereas sensory symptoms at onset predicted a benign MS course (OR = 0.12, CI = 0.02–0.56). Using multivariate logistic regression the factors found to be significant were: presence/absence of IgMOB (p < 0.01), onset with sensory (p < 0.01) and pyramidal symptoms (p = 0.01), and first inter-attack interval (p = 0.03). The individual probability of a severe evolution was thus estimated by a simple formula comprising clinical and biological markers of prognosis available at diagnosis (pyramidal and sensory symptoms, months to the 2nd episode, and IgMOB presence/absence), giving the probability of developing a severe MS course. Applied to the same patient cohort this formula showed a global error of 6/64 (9.37 %). We then used another independent series of 65 RRMS patients to validate this model. In this second patient cohort, 4/45 BMS and 4/20 SMS patients were found to have been incorrectly classified (based on the formula), with a global error of 8/65 (12.31 %). For the first time we created a MPI, using clinical and biological markers to predict the clinical course of MS at diagnosis. This index can support the clinician in patient counselling, therapeutic choices, as well as in patient selection criteria for clinical trials.